Scrapbooking 4 a Cause: Why Wait - We Have It NOW -Ali's LATEST!!! Why wait when we have it right now??? You create scrapbook pages to celebrate your life and your family's-from the important events and milestones to those precious everyday moments. Now Ali Edwards and her team of talented contributors will show you a great way to record your daily life through practical and gorgeous mini book projects. Document the meaningful moments of your day-to-day life with creative mini scrapbooks that are both useful and a long-term record of your creative life. 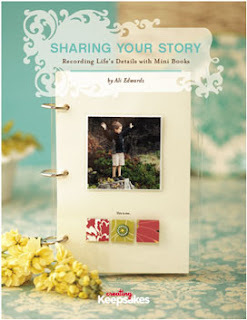 Inspiring projects showcase gift albums, travel journals, collaborative mini books as well as ideas for using your minis for recordkeeping and much more! Available NOW! 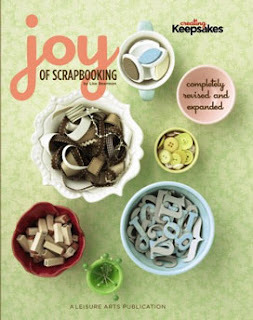 Discover the fun and joy of scrapbooking with this essential guide! Introduced by Lisa Bearnson, the Creating Keepsakes founding editor, this revised and expanded edition combines all the instruction of the original along with comprehensive coverage of new scrapbooking tips, techniques, and supplies. Whether you're a beginner or have been scrapbooking for ages, this guide will get you excited and going strong! You'll discover more than 90 never-before-seen layouts featuring practical ideas and themes; principles of basic scrapbook design and helpful hints; guidelines for organizing and preserving photos and memorabilia; ways to sharpen your journaling and photography skills; and an introduction to digital scrapbooking. You might not think card making has anything in common with cooking, but you will after you see this creative book from the editors of Paper Crafts magazine. In it, you'll find more than 90 of their favorite tried-and-true "recipes," each illustrating a well-balanced layout that takes the guesswork out of card designing. You get to see several variations of each design, and you're encouraged to spice them up with your own embellishments for greeting cards that are uniquely yours. Also included are ideas to use the recipes for tags, envelopes, gift bags, and other fun projects. 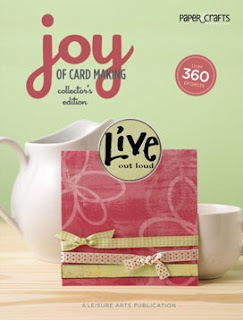 With this library of card-making possibilities, you'll be able to whip up an impressive batch of cards and other paper crafts to suit your style and anyone's taste. NO PRIZES FOR CHA - Part 2...stay tuned to PART 3!! !